The Proton-M failure this month was caused by a newly-found design flaw in the rotor of the rocket’s 3rd stage steering engine, rather than a manufacturing fault, the Russian Space Agency has announced, noting it will be easy to fix in future production. The head of the Russian Space agency Roscosmos Igor Komarov said that the problem that caused the rocket to fail and eventually burn up in the atmosphere, was a fault in the operation of the steering engine rotor due to excessive vibrations, RIA-Novosti reported on Friday. "The failure was due to a design flaw," Komarov emphasized. The measures being developed to ensure the success of future missions won’t require major financing, and will include substitution of the rotor material, and modification to the balancing system and several mounting components. 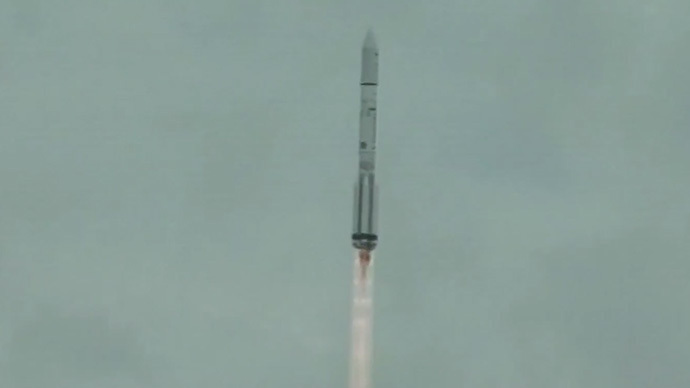 On May 16, the launch of the Proton-M rocket with a Mexican communication satellite MexSat-1 aboard went wrong – and the third stage, the booster vehicle and the spacecraft, began spinning out of control and eventually burned up in the atmosphere above south-eastern Russia.